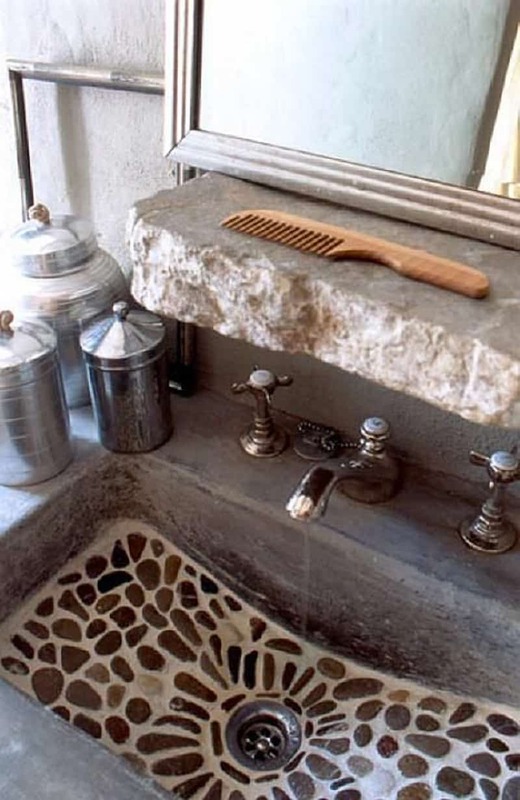 Natural stone can be an alternative to decorate the sink. 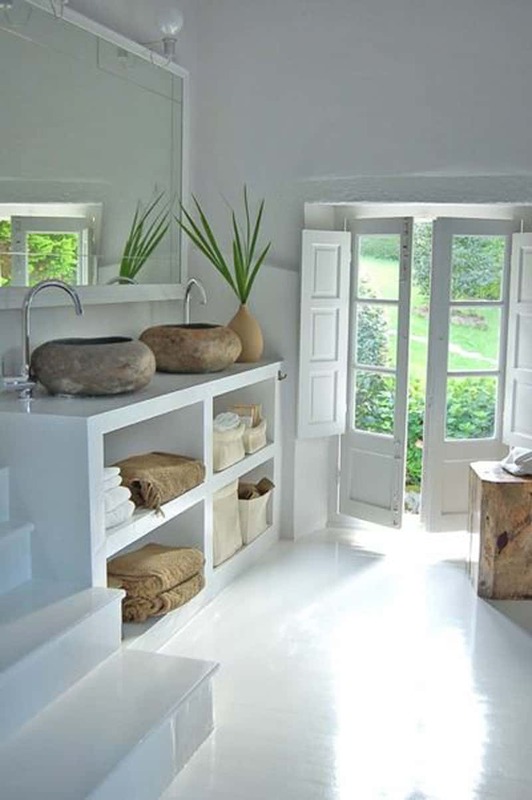 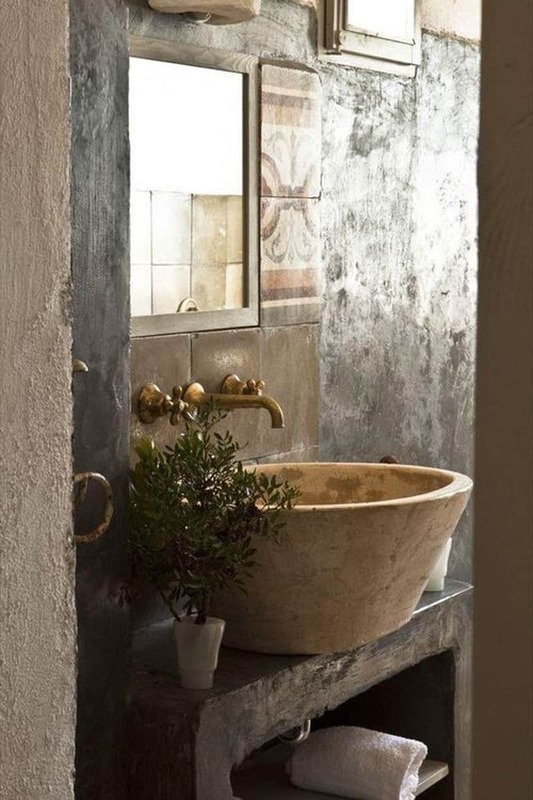 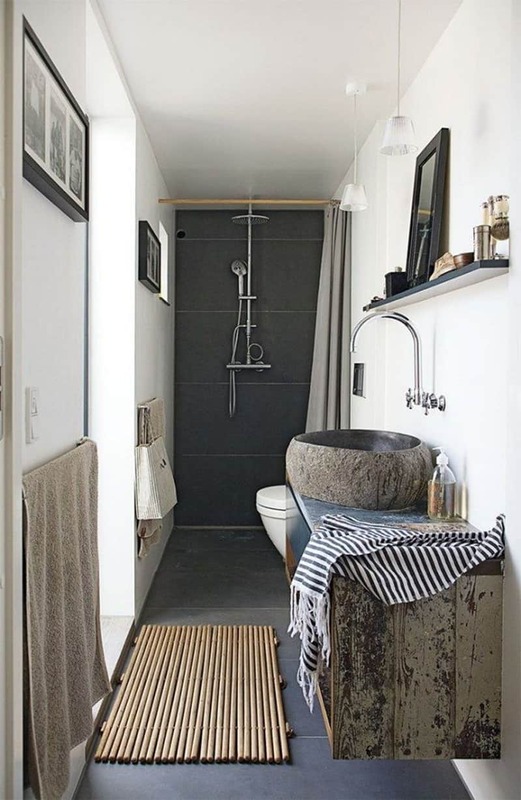 In addition, instead of decorating when you feel bored with the material that has been used, natural stone materials can also be used to create a natural atmosphere in the bathroom. 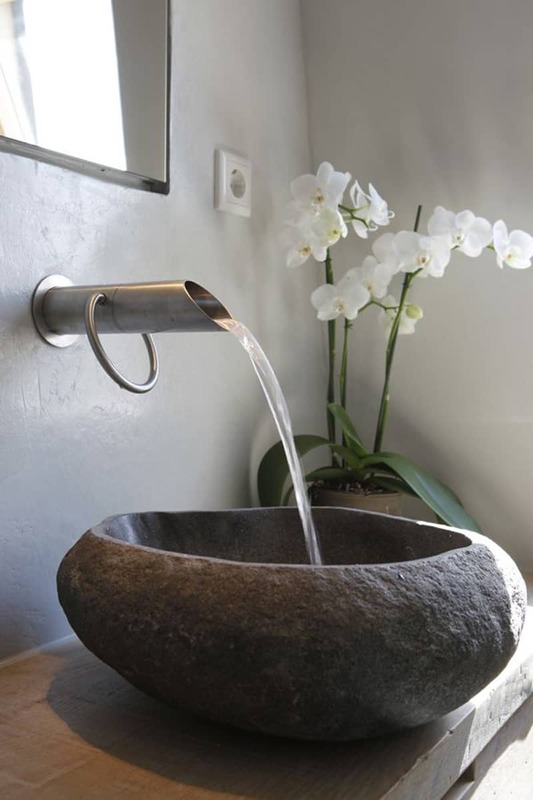 Stone is becoming a more popular option for those tired of the standard stainless-steel sink. 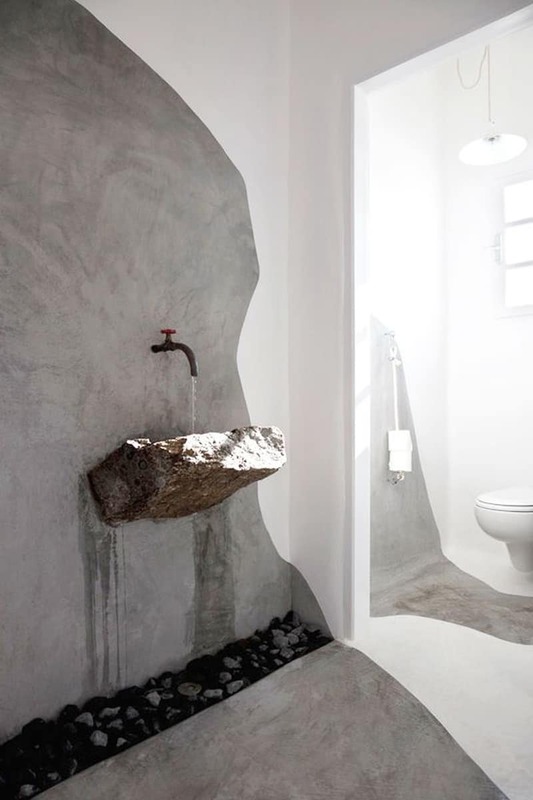 You might have to go back in time to find a greater use of stone than in today’s new and remodeled homes. 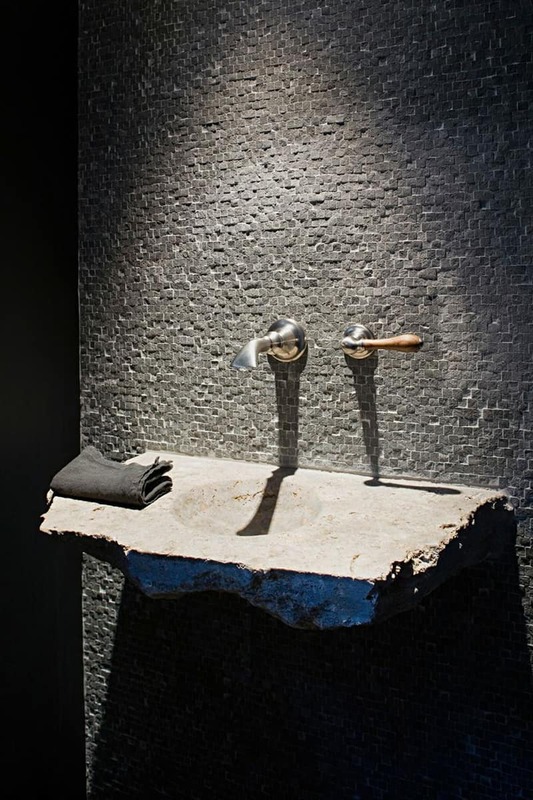 Already a classic countertop, backsplash and flooring mainstay, stone is now morphing into the most utilitarian tool in the kitchen — the sink. 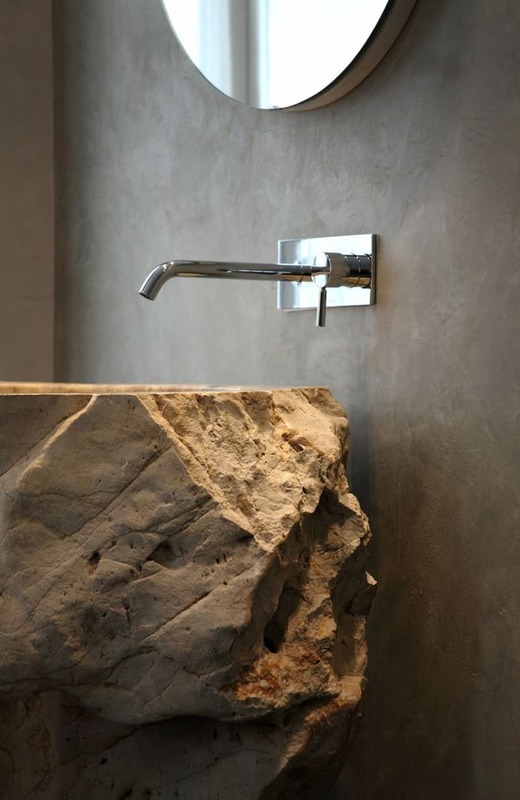 The same characteristics of strength and beauty that make stone a best-selling countertop material also make it a natural for sinks. 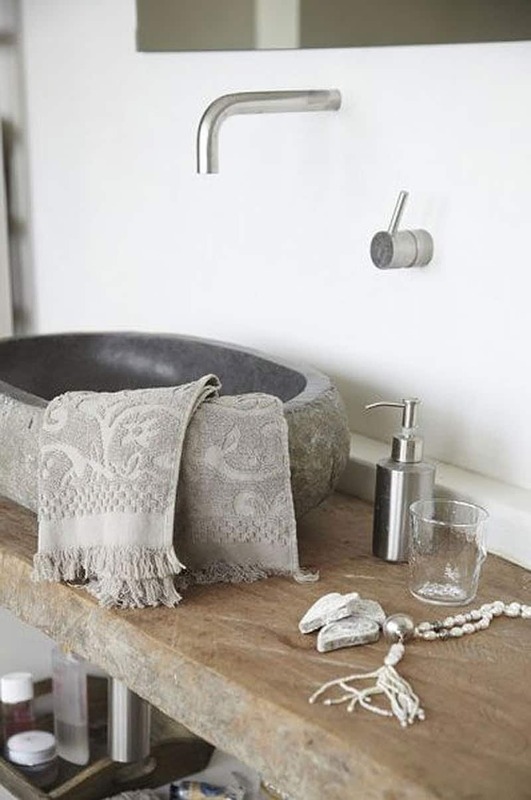 Usually, stone kitchen sinks are carved out of one solid piece, either farmhouse style or small round prep sinks. 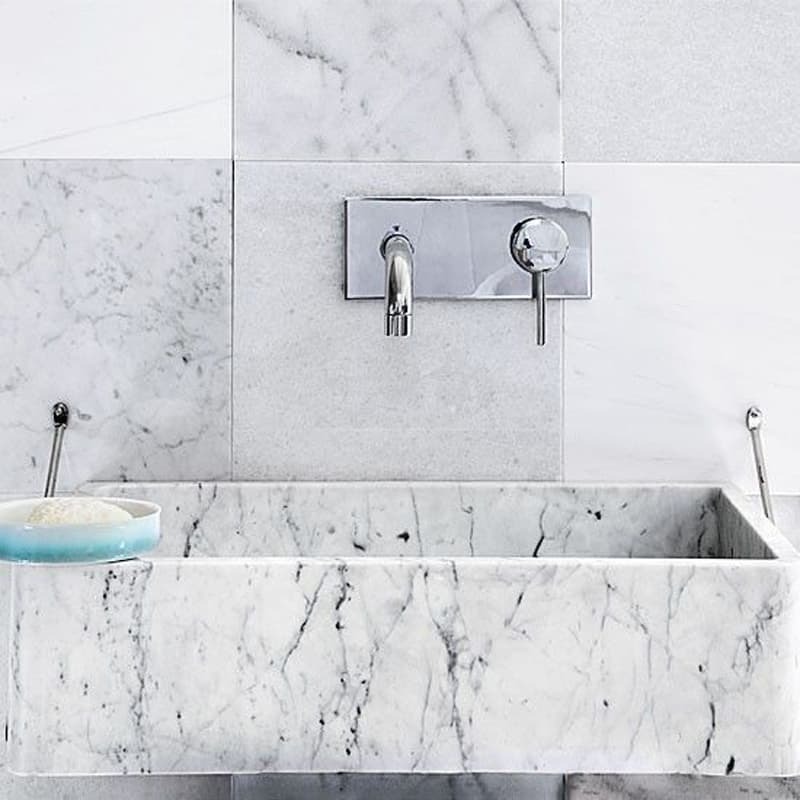 Typically, terrazzo become part of the natural stone materials are often used as sanitary fixtures, especially the sink and bathtub. 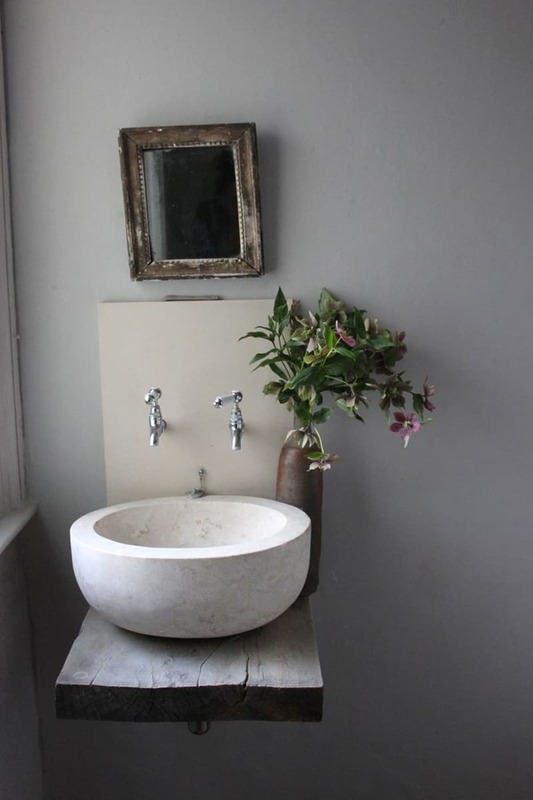 The front of a farmhouse sink can be left in its rough, natural state or it can be polished and even carved. 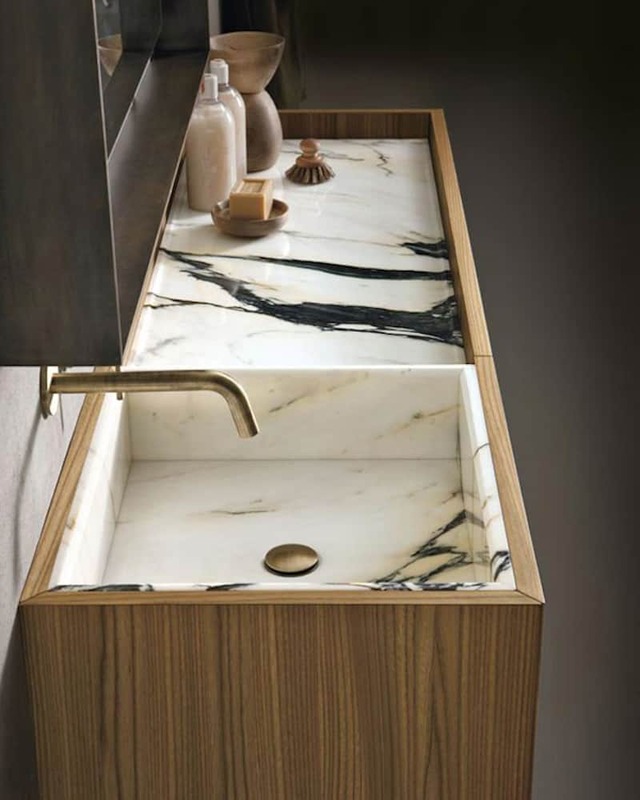 The other option is a boxy sink fabricated from granite or other slabs — the best choice if you want to match your chosen countertop. 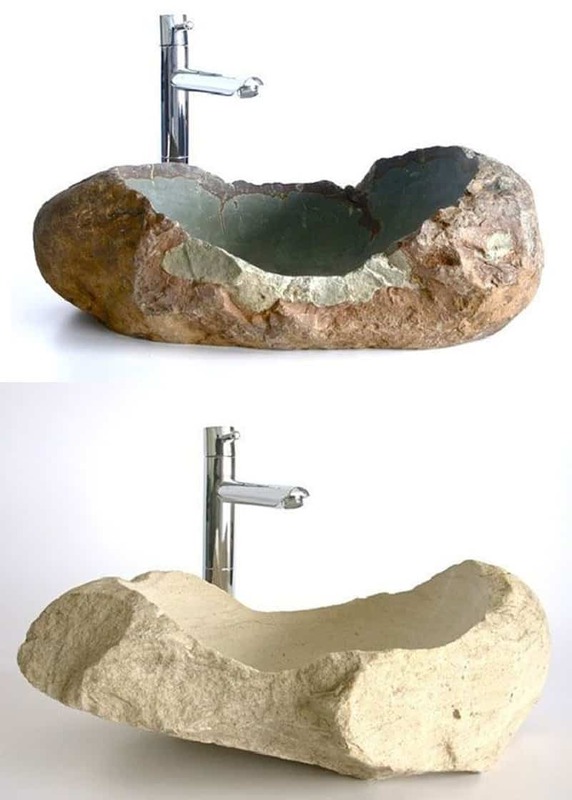 Enjoy our collection of Cool Natural Stone Sinks Design Ideas and let us know if you would like to have one in your bathroom. 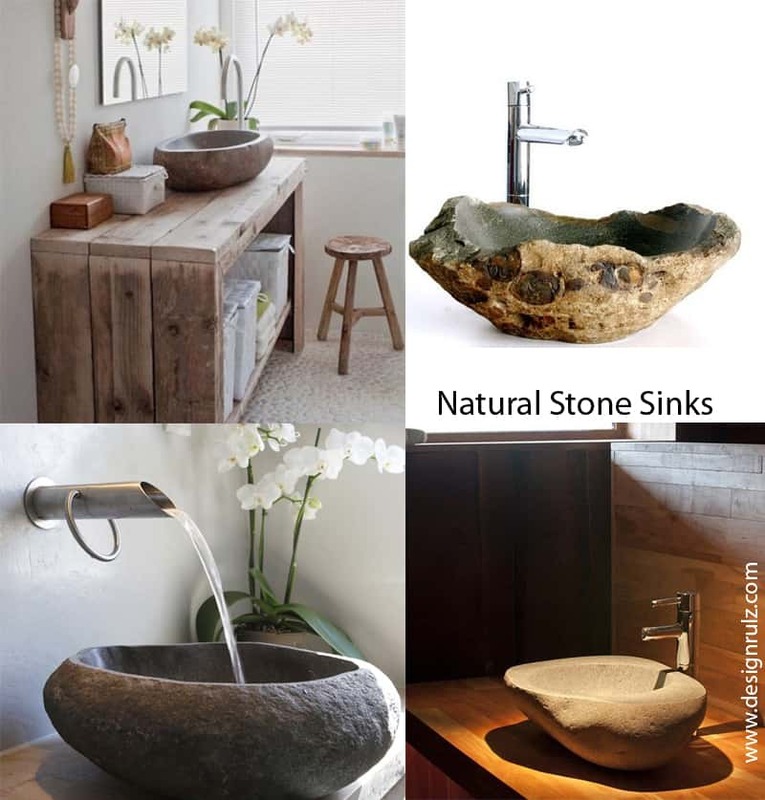 and you will find a large selection of natural stone sinks. 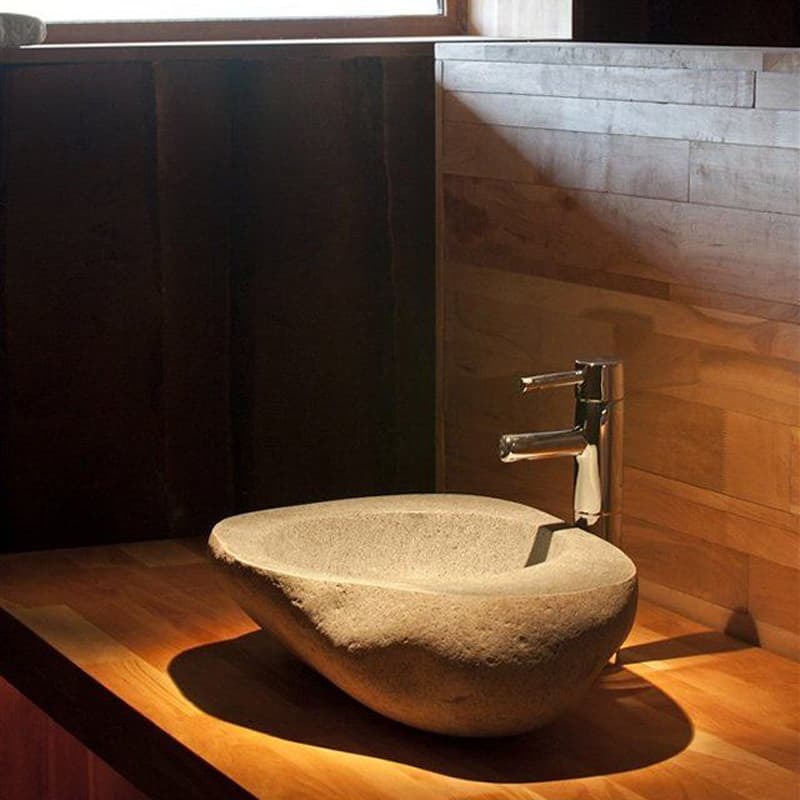 You simply cannot get more natural than a stone sink made of petrified wood. 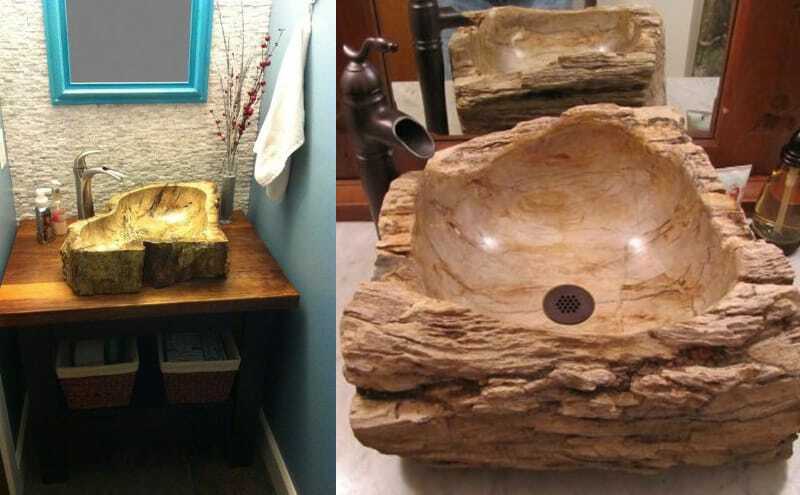 Although it’s called petrified wood and it actually was at one point in time natural wood it is now stone. 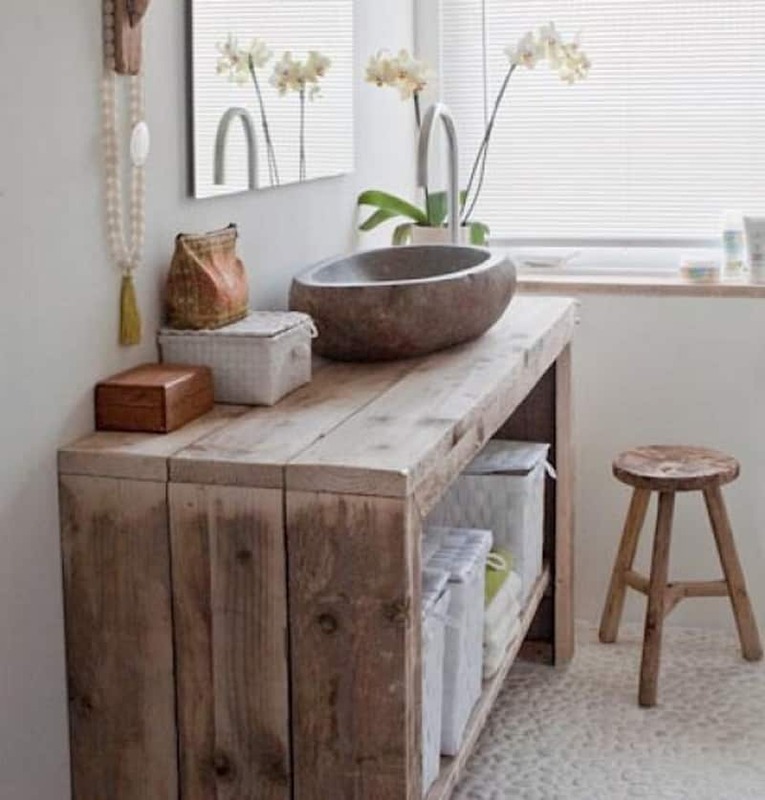 Over thousands of years the process of fossilization has replaced all the organic materials in the wood with minerals keeping the structure of the wood but effectively turning it into stone. 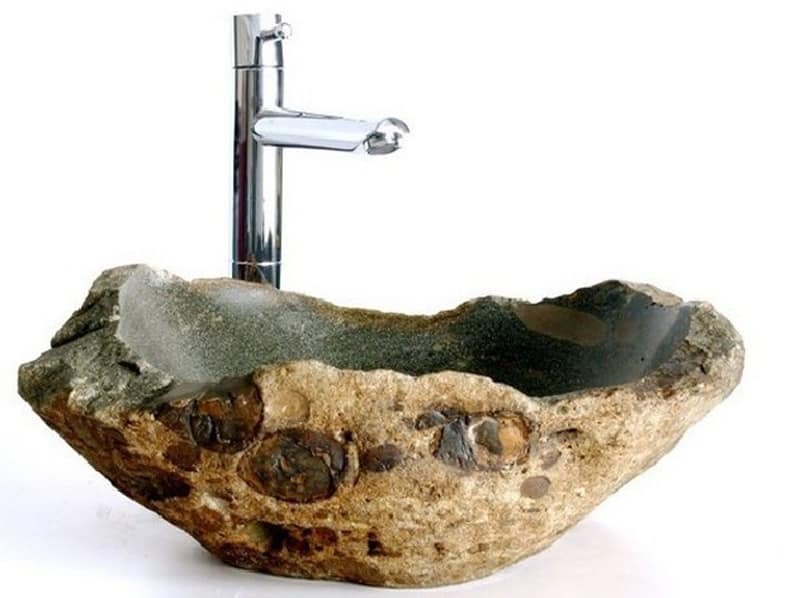 Petrified wood sinks are likely the most unique product in our line because no two are even close to alike. 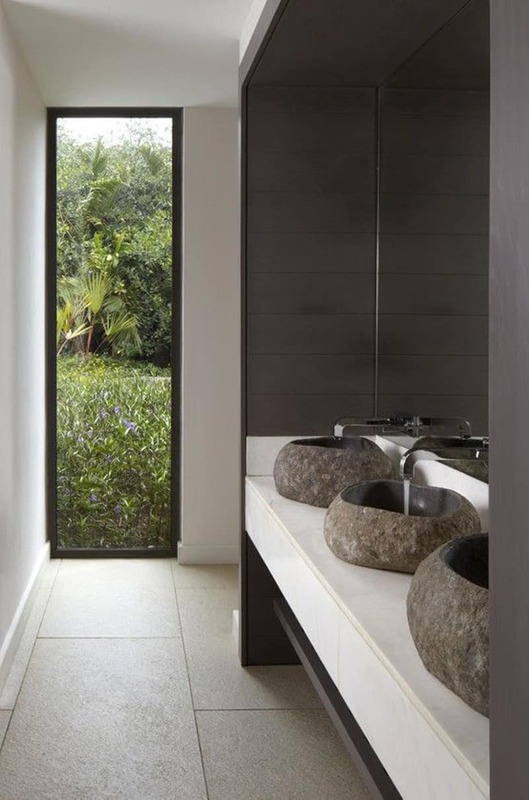 The color shape and size vary for every piece and can range from 19″ to 32″ in length (side to side). 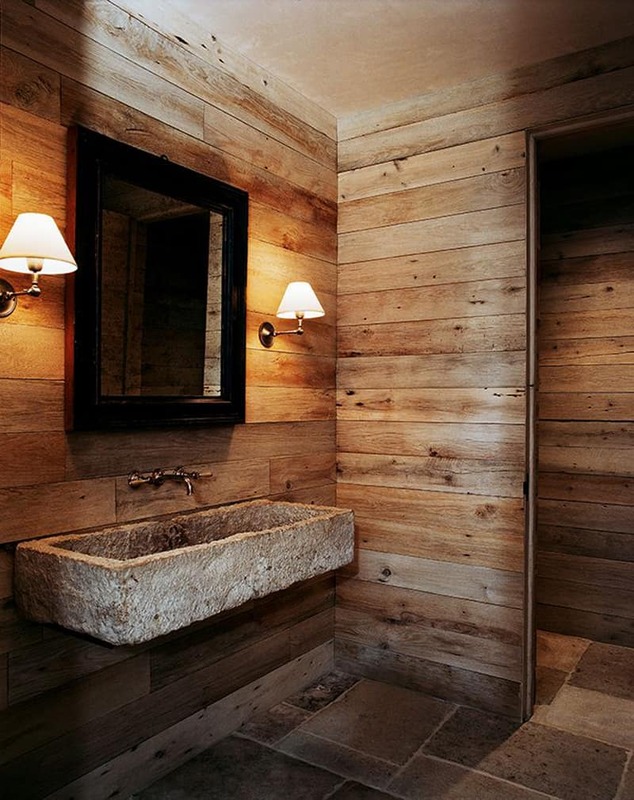 Additionally as the sinks are carved from a “trunk” of petrified wood the height can also vary.